First, we aren’t big eggplant fans so I chose one of my favorites to go with tomato sauce, zucchini. No fry – no problem. Frying is very limited in our household by either roasting or grilling items. Ragú® is an item which is a staple in most pantries, including mine, whether you “doctor” it up a bit, or use it right out of the jar. With it’s Authentic Italian taste American family’s love and a variety of great tasting sauces, it’s quick and easy to make your family favorite recipes. With Ragú recognizing and celebrating everything that makes family mealtime Saucesome, think of the fun you can have with a jar. 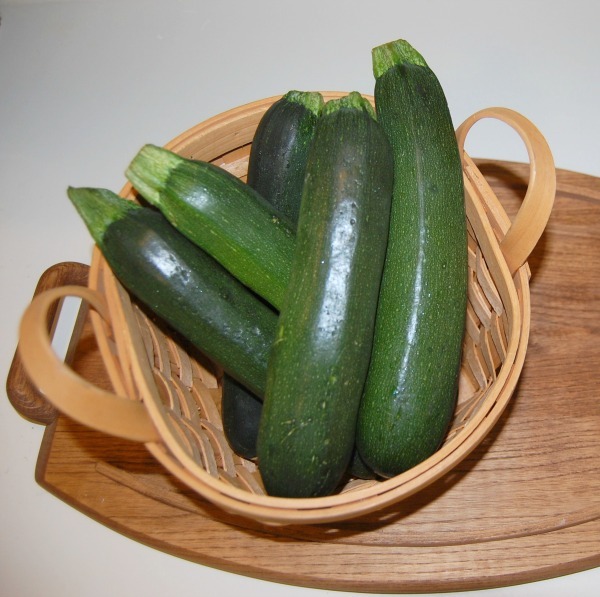 Start with fresh zucchini – we love shopping at farmer’s markets at this time of year for some of the best selection. Don’t worry about peeling it, just wash well and dry. Cut each end off then slice into about 1/4″ thick slices, long ways. And, because I was using an oval pan, I then cut these in half to make it easier to fit into pan. After they are all sliced and cut in half, place them on a rack which has been placed over a baking tray. If you don’t have one large enough, you can use 2 as I have done since my large one has disappeared from our recent move. I placed a dish towel under the tray to catch my flying salt and any moisture. Salt each side generously with Sea Salt and let stand for about 2 hours. This will pull the moisture out. Regular salt can be used as a substitute. You will be amazed how much water will come out. The fresher, the more water. Pat the top dry with paper towels then turn your racks onto the dish towel in a single layer. Roll the towel up to absorb any moisture left. 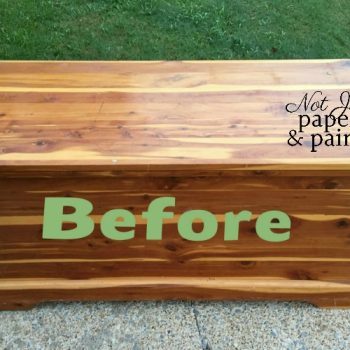 Let this stand for about 15 minutes, using more paper towels or another dish towel if necessary. If you don’t have racks, no problem. Just use a couple absorbent dish towels. After 1 hour with the salt, turn them over onto a dry towel, or even paper towels. 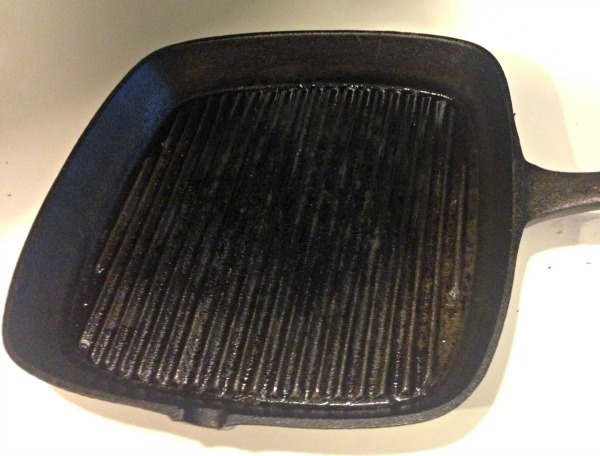 My favorite way to grill inside is using this cast iron grill pan. With higher heat, it will make great grill marks but for this dish, I wasn’t worried about the marks so much. 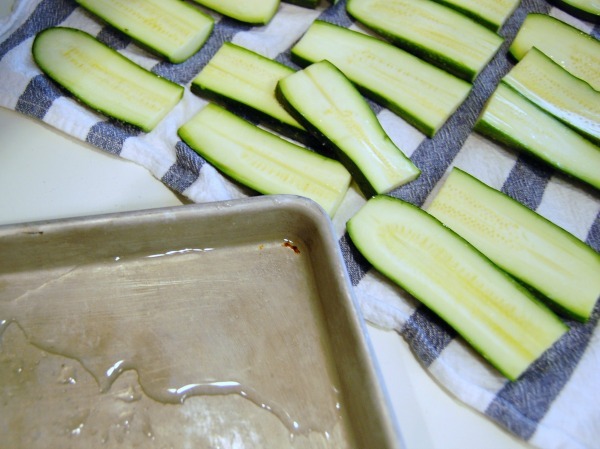 Using a brush, lightly coat the skillet with olive oil before each batch of zucchini. Grill for about 2 minutes on each side. Don’t overcook, as they will continue cooking in the oven. Remove from grill pan and drain on the same baking rack and pan you used for the salting process. Now it’s time to prepare the Saucesome Sauce. 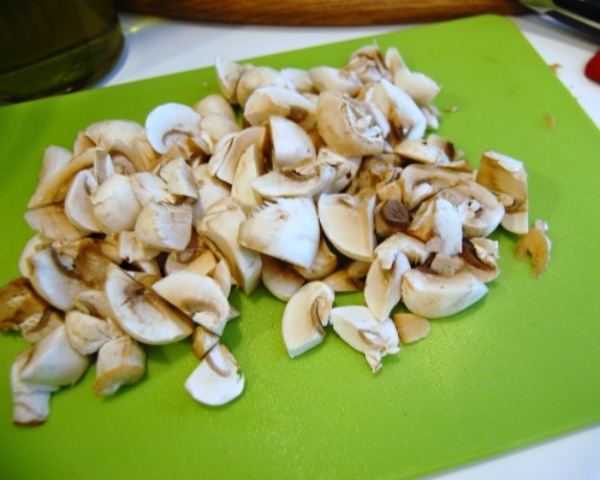 Using freshly washed mushrooms, give them a rough chop. I like my veggies in any dish large enough to see what they are. Plus, for the mushrooms, my husband doesn’t like them, so leaving them in large pieces he can pick them out. Rough chop your garlic also. We love garlic so you just about can’t get enough in a recipe for us. If you are making this for kids and they tend to be pickier eaters, adjust your added veggies to suit their taste. Also, the smaller you chop an item, the less likely they are to see it. Saute’ garlic in 2 T olive oil over medium heat, just until it softens, f bout 2 minutes. 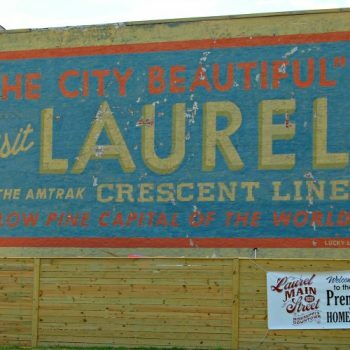 DO NOT brown or let it burn. If you do, it’s ruined with a bitter taste. 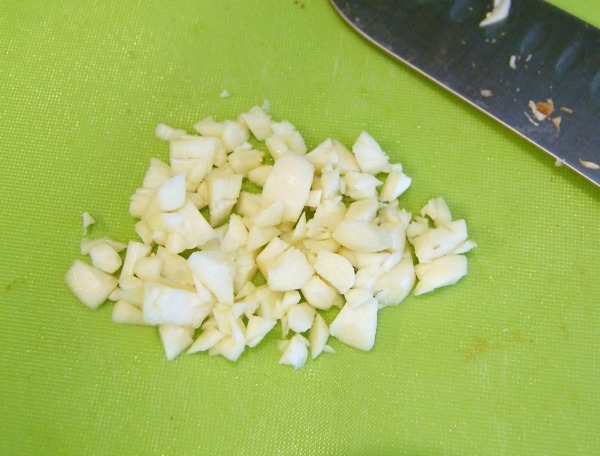 Remove garlic from pan, and add chopped mushrooms. These will need to cook for about 5 – 7 minutes, until all the liquid has cooked out. 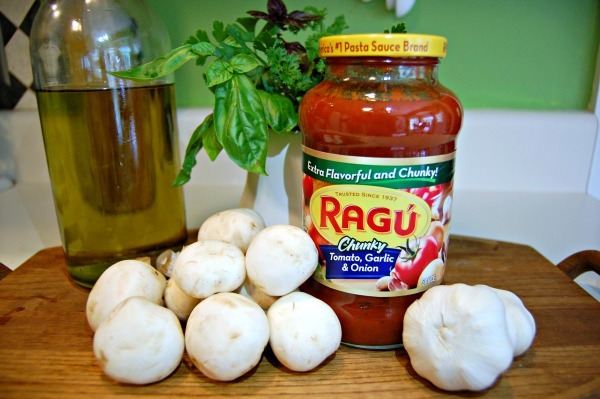 Add your 2 jars of Ragú® and chopped garlic. Simmer for 10 minutes then add your herbs. If using dry, these will have a more potent flavor than fresh using the same measurement. 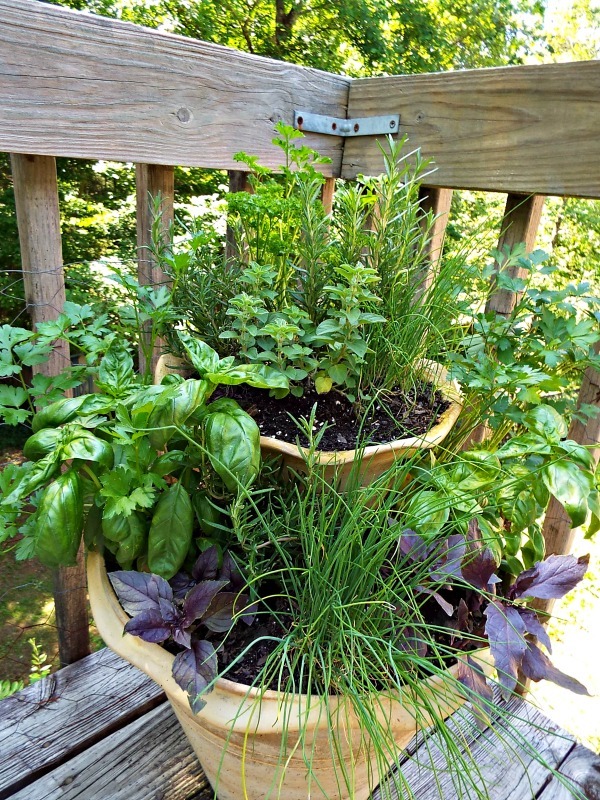 An herb garden is a great way to introduce your kids to gardening. This is my little corner and keeps me supplied with all I need. Mix up the flavors and colors. I did not add any additional salt to the sauce, since the zucchini was heavily salted. Black pepper can be added, but I don’t like it, so I don’t use it. Now let’s put our dish together. Spray your dish with any non-stick coating spray. This recipe will fit into a 9″ x 13″ dish just right. My oval dish fits into my convection I use to cut down on heating up my kitchen. ** The remaining cheese will be added near the end of baking. Cook in a preheated 350 oven for 20-25 minutes, until bubbly. 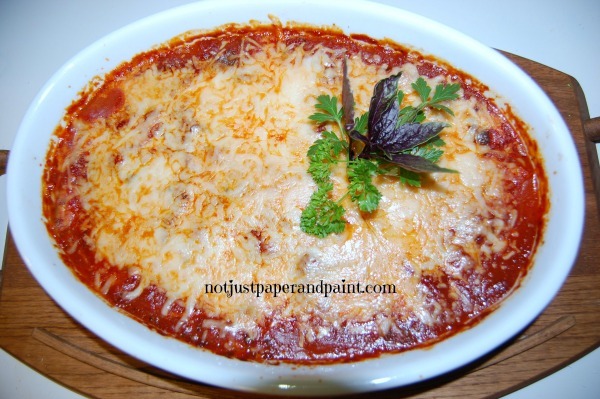 Add the remaining cheese and cook an additional 5 – 10 minutes depending on how you like your top cheese. 5 minutes for just melted, how I like it, or 10 minutes if you want it to brown. Remove from oven and let stand for 10 – 15 minutes before serving. This allows a little cool down and for flavors to set. When serving, add a little extra Parmesan cheese or herbs. 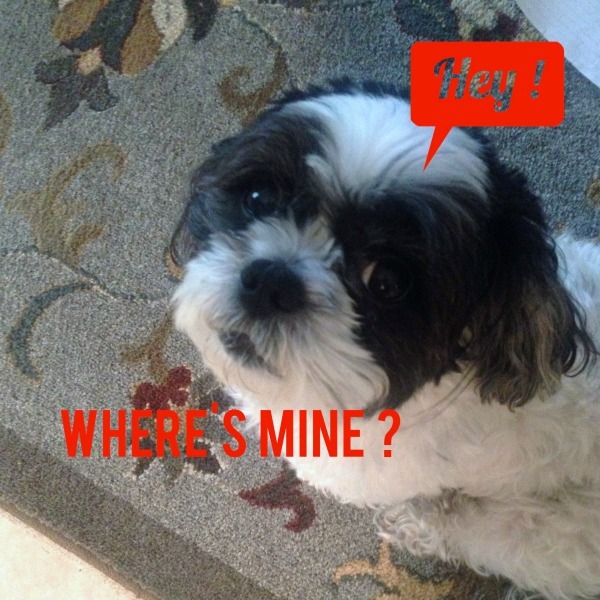 Refrigerate leftovers – if there are any. How would you like to win $12,000 toward a Saucesome kitchen makeover, or a variety of Saucesome prizes, just visit www.RaguSweeps.com. Do you follow Ragú® on Facebook? 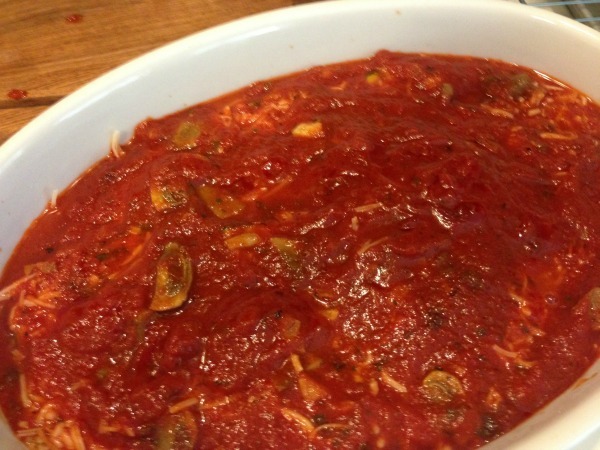 I was provided Ragú® but the recipe and opinions are all mine. For steps onto starting an herb garden, here’s some tips on starting one. Yum! Now this is a dish I’m going to have to make! I’ve done chicken parm many times but the substitution of zucchini is amazing! In fact, I think I’ll serve this for dinner tonight! I sometimes put both in it. Also great with a little less sauce almost like lasagna then no pasta is needed. Hope you do try it. 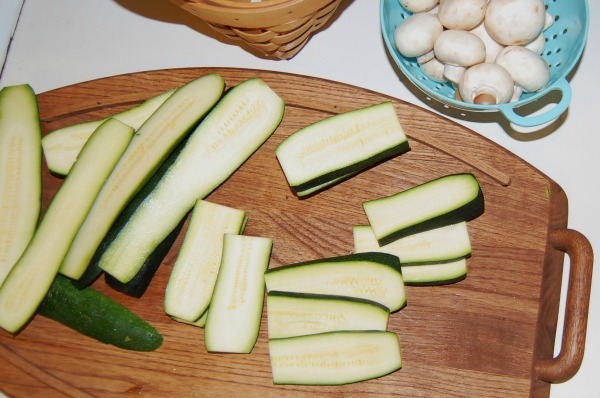 Can you believe I’ve never eaten Zucchini? 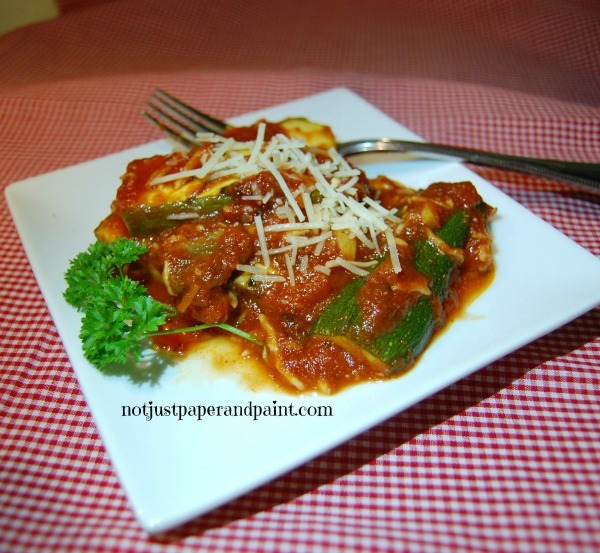 still, Ragu has been a staple in my family forever and the way this dish turned out has me ready to go add zucchini to my shopping list. I have done something similar to this using less sauce and made it more like lasagna because we have a friend who can’t have pasta. But we like the extra sauce and put over spaghetti too. 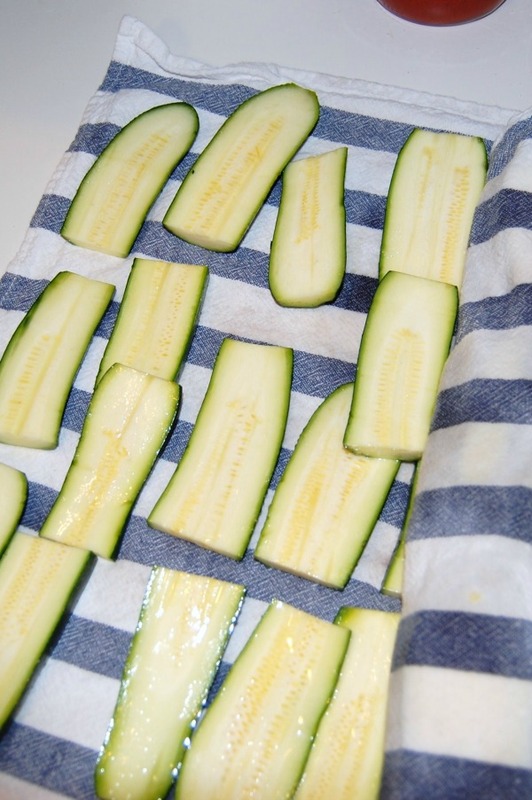 You must try zucchini – grill it, saute with a little olive oil and seasonings. Plus raw is good. Hope you try it. I’ve never been a huge fan of zucchini, but that may have been because I’ve never had it prepared like this! This looks like a delicious way to add a ton of flavour to it! 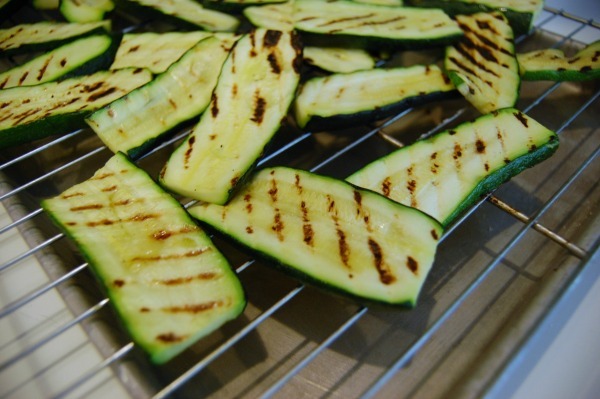 Grilled zucchini is great. Consider eggplant or boneless chicken for this too. 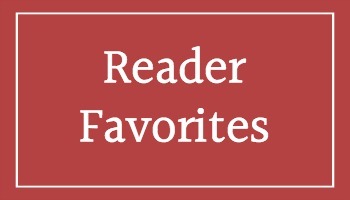 Hope you will follow along as I post recipes quite often. This looks tasty. I love everything with cheese. 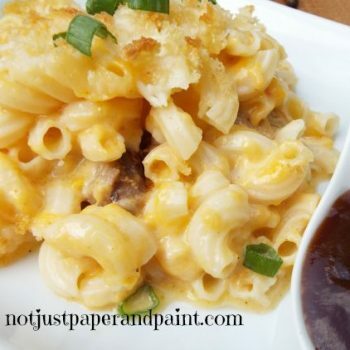 This one is saucy and so cheesy without making you feel guilty. Great to make ahead Let the kids help put it together and they will be so proud. Hope you will follow along as I post recipes quite often. Wow what a delicious meal! I’d love to make some of this with my daughter. We love recipes with lots of veggies! Yummy!! 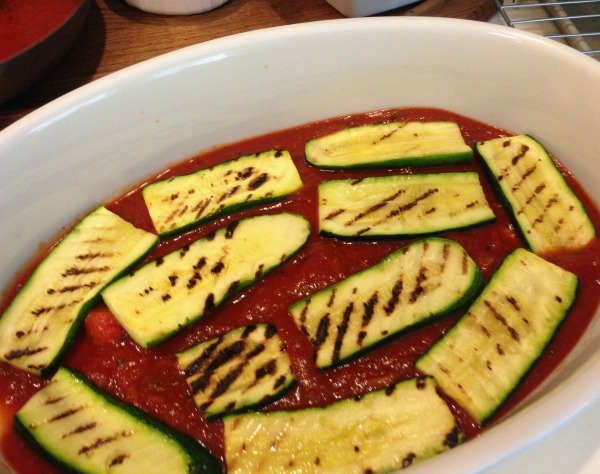 We love zucchini and this dish looks delicious! I adore your herb garden. We had a small garden at our last house, but just moved again, and I wanted some more fresh herbs outside. Will be giving this recipe a try! I love having all the fresh herbs to use. Maybe you can find a corner for a couple of pots. 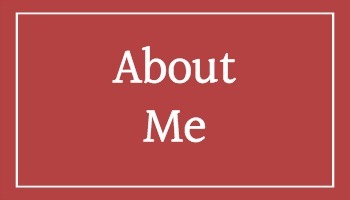 Hope you will follow along as I post recipes quite often. I would usually associate something the hearty with a fall dish, or maybe even winter. For some reason though this looks like the perfect fit for a day like the one we have had today. It is a great way to get in some veggies, and I know it’s delicious! Maybe because it’s not made with a lot of heavy stuff, it’s great for any time. Add any veggies you like. Hope you will follow along as I post recipes quite often. Omg now this looks absolutely delicious!!! I just love zucchini. Totally giving this a pin! I want to come to your house to eat! I love grilled eggplant, adding cheese and rage sounds and looks tasty! Might have to try this! Dishes like this is my go to for making ahead of time. Plus any extra sauce is great over pasta. Hope you will follow along as I post recipes quite often. Whoops, I meant to say zucchini but for some reason I got eggplant on the brain. Your dish looks delicious! How warm and welcoming does this dish look? This would be perfect to make today based on the weather! This look very healthy and delicious! I hope you give it a try – we really enjoy dishes like this. I’m not a fan of zucchinis but that Ragu does look so delicious. It’d be a great alternative to our usual pasta night. This sounds and looks so good indeed and we totally love zucchini here. 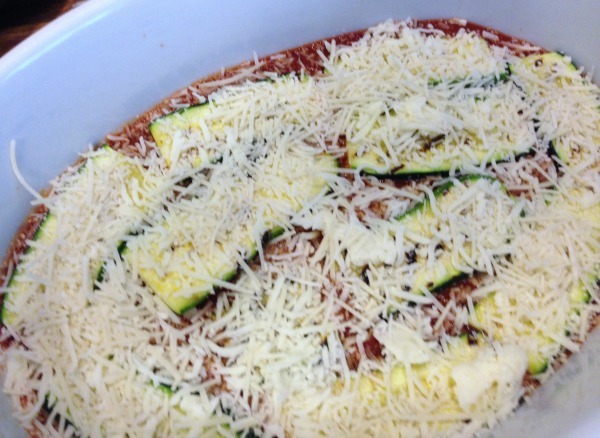 Zucchini sounds so good with parmesan and Ragu sauce. I am going to add a side of garlic bread to this dish. Thanks so much for sharing. Sounds like a perfect dinner to me. I use about as much zucchini as any other vegetable. 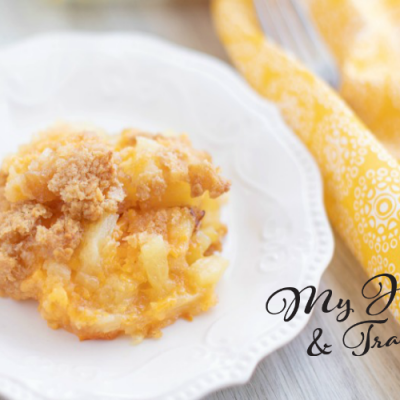 Hope you will follow along as I post recipes quite often. Ragu is one of the few sauces that I will immediately grab for when shopping. I eat a lot of pasta (hey it is easy) and generally just throw some Ragu and then some tuna or chicken in. Your recipe sounds really good but for a single person a bit too much prep is needed!! Wow, this looks delicious in every sense of the word! This dish would make the perfect vegetarian meal. I don’t have to have meat at every meal, but still like it. We eat about as much chicken and fish though. Hope you follow along. I’ll have some please! This looks absolutely amazing! I haven’t seen a recipe like this before so thanks very much for sharing! 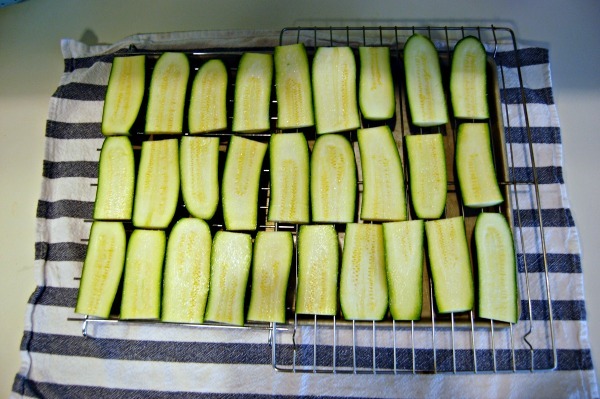 Pretty easy to do, just remembering to get the zucchini ready ahead of time, and you are then set. Hope you try and enjoy. Come back often for lots of new stuff. Always so many ways to make a recipe your own.